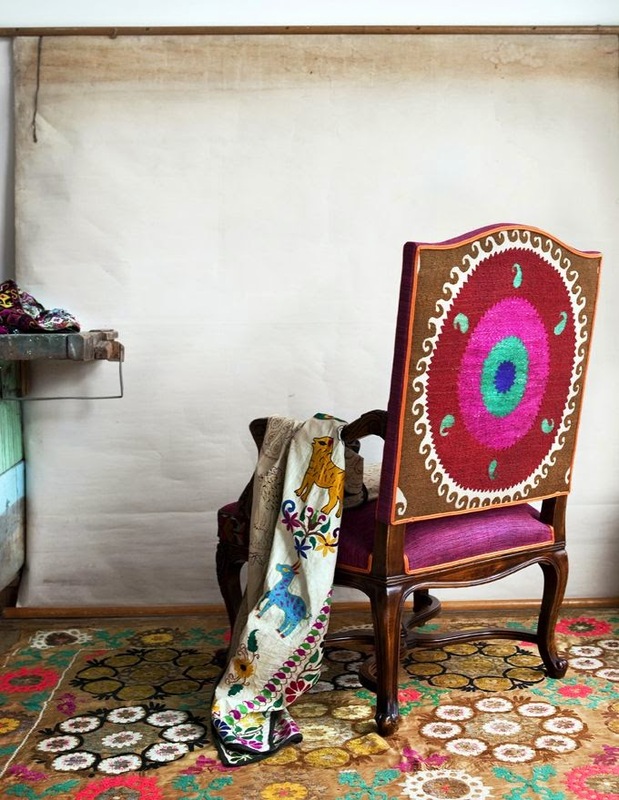 Here is something pretty to shake off those Monday blues :) When French design is paired with a beautiful vintage Uzbek Suzani the result has to be visually stunning. The chair in the first image is a Fauteuil à la Reine style chair. This style was style was popular during the Regènce period in France (1715–1723). Here's a little information about MOMIQ, the design house which creates these masterpieces. " MOMIQ travels beyond time, cultures and history. By blurring the boundaries between countries, we unite all worlds’ beauty and create designs that represent ancient traditions from the makers and the ones who used them. Bringing the beautiful old into the beautiful new, that is what we believe in. " This venture was started by two sisters in 2012. 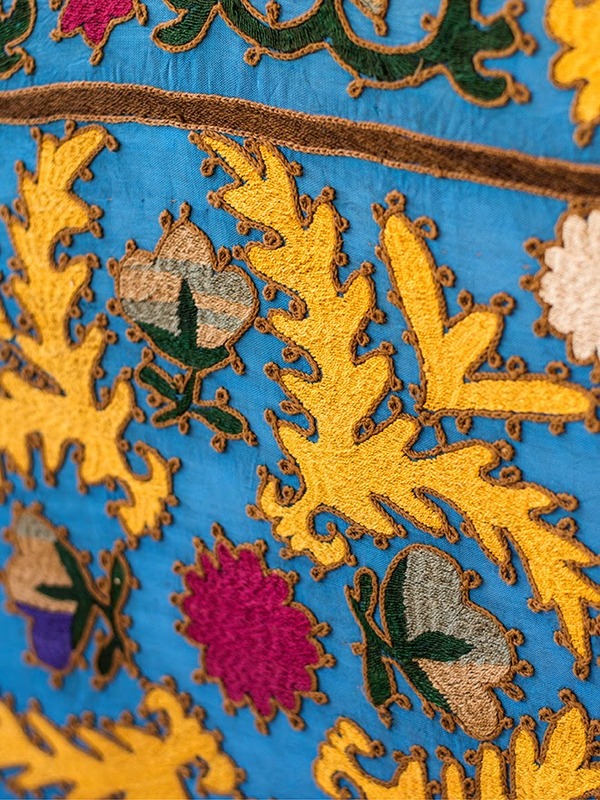 With a keen eye for detail, guts, sense of style and creativity, they designed a first collection of furniture upholstered with fabrics mainly from the old Silk Road, marking the birth of MOMIQ which means cotton in the Uzbek language. MOMIQ is based in Netherlands and you can visit their website for oodles of inspiration and one of a kind treasures!